Trimilin fun is ideal für everyone. It comes in a handy carton. 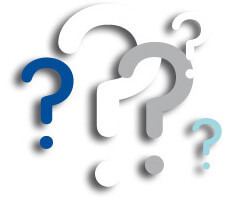 The frame is made of galvanized steel and is easily assembled without tools. 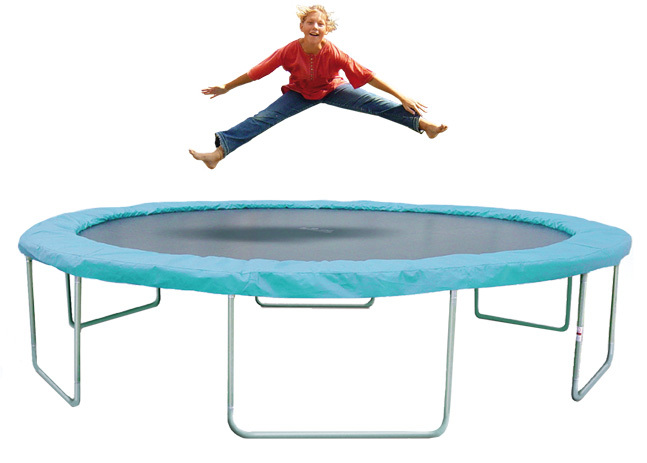 The spring-tension of a round trampoline is larger at the edge than in the middle. Therefore it always bounces you back into the middle. 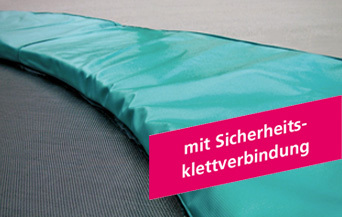 The velcro connection prevents from injury in the springs of the gardentrampoline. Trimilin-fun 37 and 43 with 6 U-legs = 12 legs for frame support for best possible frame stability. The cover and mat are connected for maximal safety and best possible protection of springs and frame. Zinc coating inside and outside for longevity. 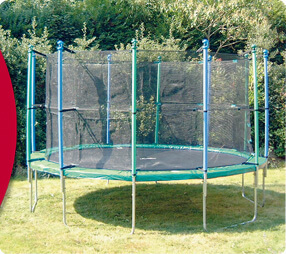 Available with Safety-net, anchor and ladder for safer stand and use of the gardentrampoline.